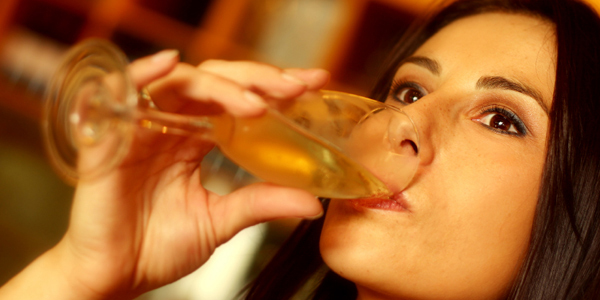 FASD: Are you pregnant and still drinking? Drinking during pregnancy at any time puts your baby at risk of fetal alcohol syndrome (FAS) and related disorders. Even a drink a day can be damaging – and the effects of FAS last a lifetime. Is it worth the health and well-being of your child to drink while you are pregnant? Dr. Mia Gregor, clinical psychologist at The Center for Personal Development in Chicago, Illinois warns mothers to practice abstinence, regardless of the -œdrink a day is okay- proponents. Prenatal exposure to alcohol can cause a range of mental and physical disorders, known as fetal alcohol spectrum disorder (FASD). The most severe effects are diagnosed as fetal alcohol syndrome (FAS). FAS, characterized by irreversible abnormal facial features, growth deficiencies, and central nervous system (CNS) problems, is one of the leading known preventable causes of mental retardation and birth defects. Children with FAS might have problems with learning, memory, attention span, communication, vision, hearing, or a combination of these. These problems often lead to difficulties in school and problems getting along with others. FASD is a permanent condition and it negatively affects the child, the child’s family, and even the community (children with FASD grow up and are at risk for problems with the law, high-risk behavior and mental disorders). Fetal Alcohol Syndrome (FAS) effects at least 2 percent of all births in the United States, with research suggesting the subclinical effects of prenatal exposure to alcohol effect 1 in 100 births. Unlike FAS, FASD is not a clinical diagnosis. According to Gregor, a board member for FASTeam, a nonprofit dedicated to raising FASD awareness, FASD includes diagnoses of FAS, Fetal Alcohol Effects (FAE), Partial Fetal Alcohol Syndrome (PFAS), Alcohol-Related Neurodevelopment Disorder (ARND), and Alcohol-Related Birth Defects (ARBD). These conditions differ in terms of physical, mental and behavioral disabilities. These conditions are on a spectrum and children prenatally exposed to alcohol can have some but not all of the clinical signs of FAS. In some cases, parents are not even aware of their baby having alcohol-related damage until the child gets older. However, with FAS, the signs are distinct and present early on. According to the Center for Disease Control and Prevention (CDC), the most extreme outcome of FAS is fetal death. Women who drink during pregnancy are also at higher risk of miscarriage, premature birth, still birth, placental abruption, and amniotitis. Drinking during pregnancy is so detrimental because your unborn child is being exposed to the same amounts of alcohol as you (yet they are far smaller) and studies have demonstrated equivalent fetal and maternal alcohol concentrations (this means your baby’s blood alcohol level is equivalent to yours). Worse, studies suggest that the amniotic fluid actually acts as a reservoir for alcohol, prolonging fetal exposure to alcohol (you may no longer feel the effects of the alcohol you drank but your baby still does and your baby does not have the metabolic capacities like an adult). Can only a few drinks during pregnancy cause FAS or FASD? Why can some women drink and have healthy babies? Every pregnancy is different and every fetus is different. A mother may drink with one pregnancy and have a healthy child and drink during another pregnancy and have an unhealthy child. Gregor warns, “It is a grave mistake to assume that if you had a healthy child and drank during that child’s pregnancy that you can drink with another pregnancy and again have a healthy child. One fetus may be more compromised or more sensitive to the effects of alcohol than another fetus.” There is no way of knowing, so why risk it? What are the treatments or course of care for children born with FAS and FASD? If you are pregnant and drinking, stop today. Your child deserves to be born alcohol-free. That beer, wine or cocktail will taste just as good when you are post-partum and your baby is born without the irreversible effects of prenatal exposure to alcohol. If you know someone who is pregnant and drinking, send her this article. For more information on FASD, visit The Center for Personal Development. For more articles on women’s health, visit the SheKnows.com Health and Wellness Channel.